A runaway horse has been reunited with its owners after a sheriff's deputy spotted it running on U.S. 19, one of the busiest roads in the Tampa Bay area. 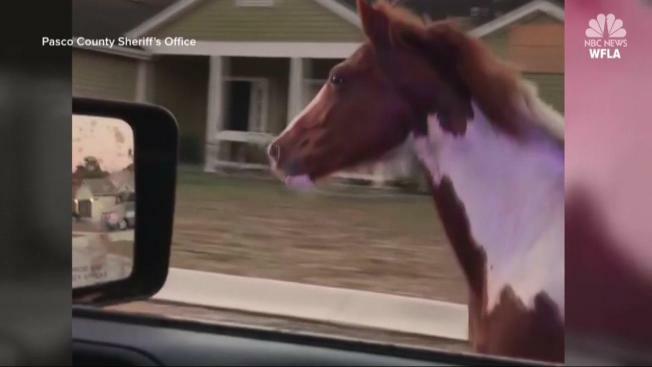 The Pasco County deputy recorded video of the beautiful chestnut and white horse as it galloped on the road in the Hudson area just before 8 a.m. on Wednesday. "Will you stop! Come on!" a deputy said while recording the bizarre scene. The deputy called in the PCSO Ag Unit and backup. "We're traveling at one horse power," the deputy said. Eventually deputies were able to stop the horse and bring it to a safe place.